Over 300 effects for Vloggers. Save the edited video directly to the mobile device. In this article, we are going to show you how to edit videos on Android smartphone with your YouTube app, and some useful tips while editing. The best video editor for successful YouTubers - Wondershare Filmora, not only allows you to cut, crop, rotate, reverse videos, but also offers your advanced features like PIP, Green Screen, or audio mixing. What's more, you can find lots of effects for Fashion, gaming, education, tutorial, sports, etc. Check this article to know more. With the YouTube app, android users have an easy way to grab and upload videos to YouTube directly from their mobile devices. Simply hit on the video camera button, record the clip and the app will upload your recording to your YouTube channel on the background. It also makes it possible to select existing videos from your SD card and upload them directly to your channel. Click on the YouTube and choose the small little icon indicating your profile. This will reveal to you all your videos in YouTube. Locate the video you want to edit then click on the three vertical little dots on the far right of the video to reveal for you more options. Choose on the “Edit” button drop down menu. Once done with the editing, click on the small little icon (looks like a forward arrow) at the top of the screen to save your edits. The video will load again and you will receive an onscreen message telling you that the video has been updated. 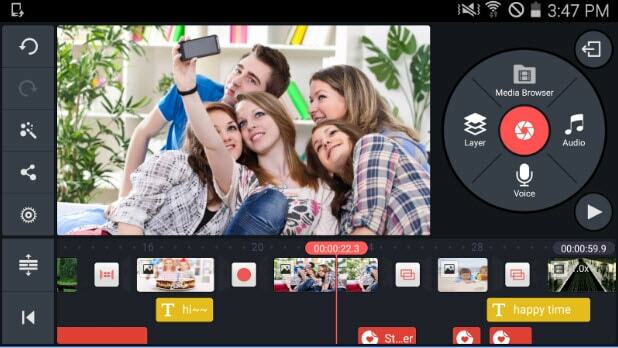 This is a pro tool for editing videos and other media files and it highly preferred to by individuals who love to edit YouTube videos on android. It comes with an easy to use interface and it has features like video rotating, trimming, and nice video effects such as animated texts, overlays, and filters as well as the ability to stream the completed video or share it on the social media platforms. vlogit is free to download and use. This is an android video editing free app. It allows for powerful video editing and it has cool video effects as well as all the features present in most of the movie makers. The app also includes a voice over which you can also share directly to YouTube once you are done with the editing. Other features include a drag and drop feature, record and customize sound tracks, edit video quickly and much more. Considered as the only full-featured app to edit YouTube videos on android, KineMaster Pro Video Editor is packed with superior features needed to make quick and professional videos. With the app, you are able to add layers to your work including picture in picture effects. Other features include ability to add multiple layers of a video, trim video properly, get preview anytime you need it, adjust brightness, color, speeds and volumes amongst other settings, and share your videos on YouTube and Facebook upon finishing. The app is free hence you should not worry about any extra charges. 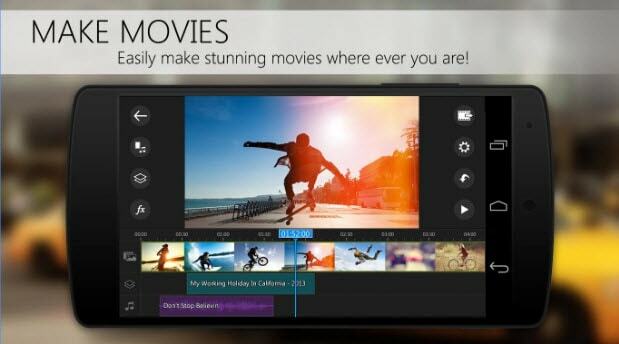 This is a premiere app by Adobe and lets you edit YouTube videos on android quite easily. Some of its adored features include the ability to create automatic video clips complete with images and soundtracks, drag and drop clips and photos when you edit the unwanted parts, ability to choose any soundtrack without losing the audio levels between clips. This app is also free and enjoys a higher user rating of 4/5. 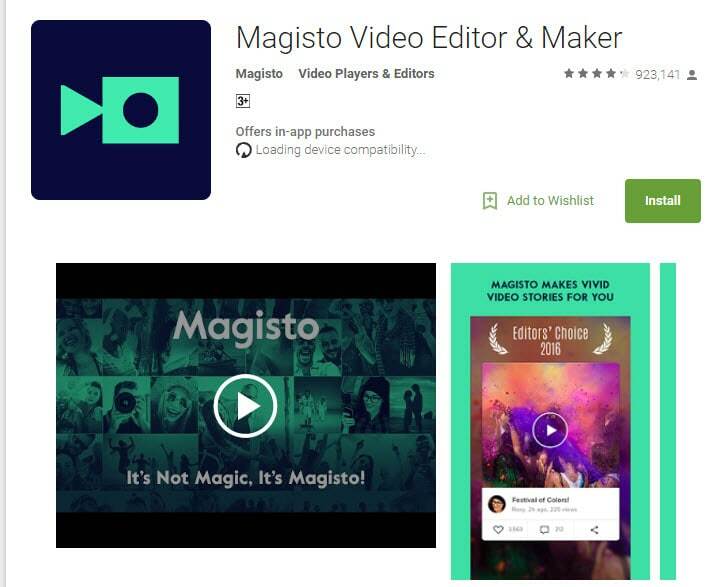 Magisto help you convert your home videos into movies in an instant. All you have to do is to select two or more clips, choose a soundtrack and press the “processing” button for the app to do its magic. After a few minutes, you will have professional looking home video made from your android device. VideoShow is also a top free video editor and video maker app and it is very ideal if you want to edit YouTube videos on android devices. It has an easy to use interface where you can add texts, emoji, filters, themes and music amongst other features. It also has a large selection of free music to use in making or editing the videos. It’s free and allows you to share your videos on YouTube and other social media platforms like Facebook and Instagram.